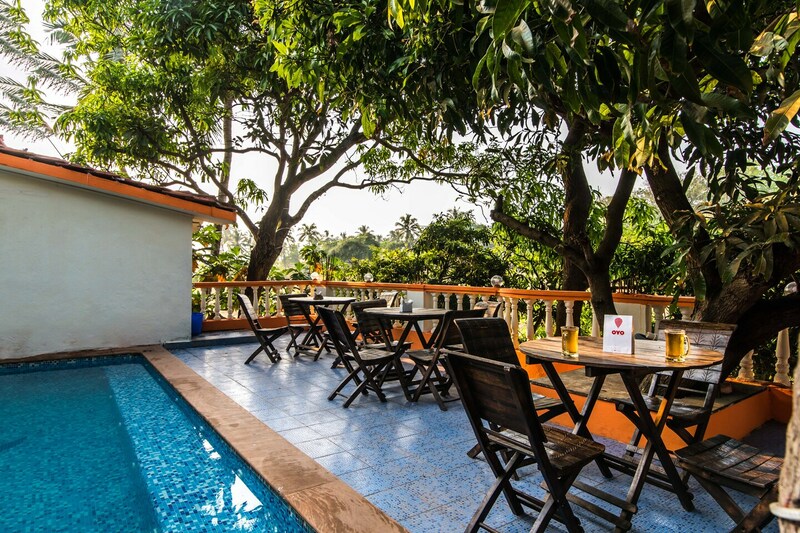 The Nisu Beach Hotel is an amazing place located very close to the Candolim Market. It is one of the closest hotels to the beach. The Nerul River and its mouth are also close by. People can visit St Cruz Chapel and Nerul Bridge. The modern styling of the rooms are quite prominent, be it the window designs or the small closets. Even the mirrors placed on the walls have a chic design. The seating area on the balcony looking out on the open space is good for enjoying the evening breeze. The tourists can enjoy the cool waters of the beautiful swimming pool in the Nisu Beach Hotel. The beautifully designed dining area would not go unnoticed. The rooms get the facilities of free Wi-Fi, geysers, air-conditioners and televisions. People, who prefer to not dine at the in-house restaurant, can try out Zappa's or Teama located a few metres away. Bayview Shack, Bobby's Shack, Angaara or Fat Panda Chinese Kitchen are also in the vicinity.